How workplaces and workspaces are changing to meet the needs of a mobile, connected workforce. Technology, economies, and everyday life constantly evolve. This dynamic on the workplace is shifting how we buy, lease, design and use commercial space. Increasingly, building owners and tenants are seeing the value of IoT systems that deliver a better tenant experience as well as more accurate, useful information for building management. 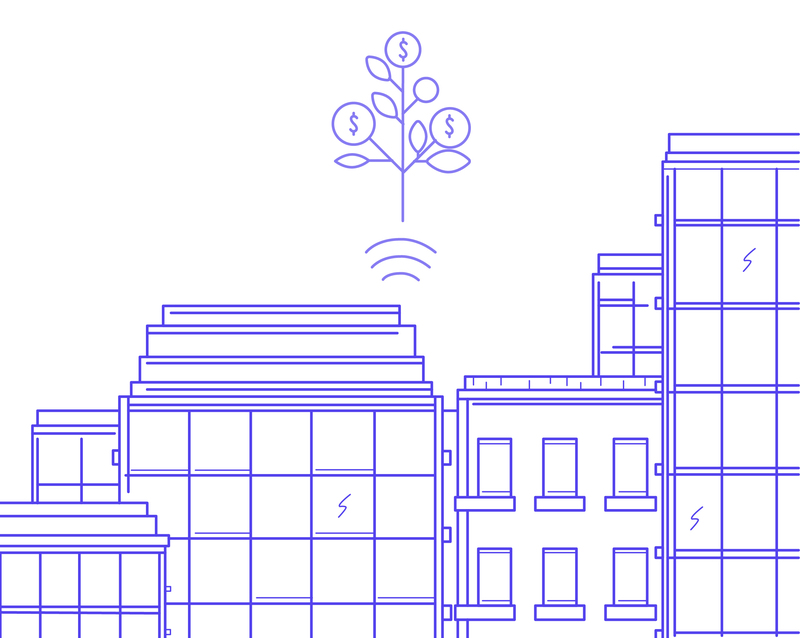 The demand for smart building technologies is expected to grow 34 percent annually over the next five years to more than $31.74 billion by 2022, according to Markets and Markets research. An intensifying war for talent. Unemployment in the United States is low at 3.7 percent but employee retention is also dangerously low with employee turnover costing companies $160 Billion a year. As a result, CFOs and HR leaders are focused on optimizing productivity, employee engagement and retaining top employees. Real estate that emphasizes hospitality. Companies realize the value in creating a workplace experience that provides comfort, collaboration opportunities, and spaces to concentrate. Flexibility is becoming part of the office model as large enterprises take a page from the startup playbook and adopt co-working and flex space to accommodate employees. As startup entrepreneurs and business owners, we’re living the trends that influence how and where we work. But our perspective, as creators of the world’s first turn-key Smart Buildings platform, gives us unique insight because the focus of our business is to help customers increase the value of their two biggest assets – people and real estate. We’ve put together a series of three articles to examine key areas where these trends intersect: workplace productivity; building operations management; and optimizing the value of commercial space. Sign up for our blog to get our analysis straight to your inbox!